For film fans, simply hearing the name of the legendary Japanese animation house Studio Ghibli is a badge of honor. New film, old film, doesn’t matter. A Ghibli movie means quality and now one that’s never been released in the U.S. is coming with the voice of the new star of Star Wars. Daisy Ridley has been cast as the lead voice in Only Yesterday, a 1991 Ghibli film which will open in New York on January 1 and everywhere else February 26. It’s the first time the film, directed by Isao Takahata, will open in the United States. (Takahata is a long time Ghibli filmmaker who most recently directed The Tale of Princess Kaguya). 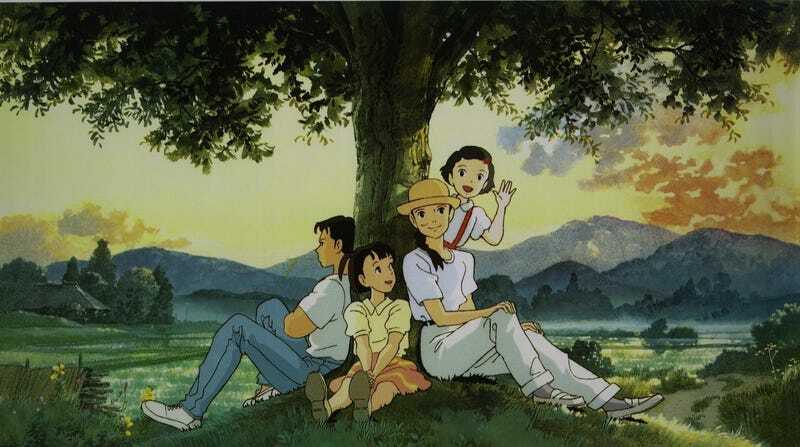 Unlike most other Studio Ghibli movies, Only Yesterday isn’t a fantasy. No dragons, flying houses or alternate universes. It’s a realistic drama. However, that twist proved successful as it was the #1 film at the Japanese box office in 1991.